There’s a new Updated Index For the Electric Pressure Cooker Cookbook. Some people have complained about the index missing several key ingredients, rice for example, in the original index. My publisher has updated the index and you can download the updated pdf by clicking the link above. What I love about the new index pdf is that it’s easy to search for the ingredient you’re looking for and quickly find the page you need. 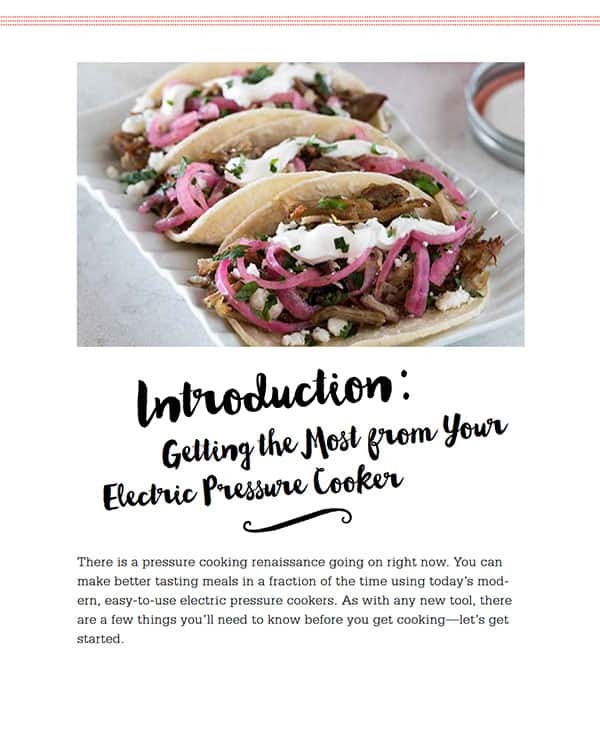 I could not be more proud or excited to share my cookbook, The Electric Pressure Cooker Cookbook. with you. It’s filled with family-friendly recipes that I know my readers are going to love. I worked on this cookbook for over two years! I collected recipe ideas where ever I went. Anything I thought looked like a great dinner my family would enjoy, went on the list to be turned into a pressure cooker recipe. Once I had a huge list of awesome dinners, I decided to round out the cookbook with must have side dishes, breakfasts and decadent desserts. The cookbook has 200 recipes! I’ve included 50 of the most popular recipes from Pressure Cooking Today, and created 150 all-new electric pressure cooker recipes that I’m sure will become new favorites. 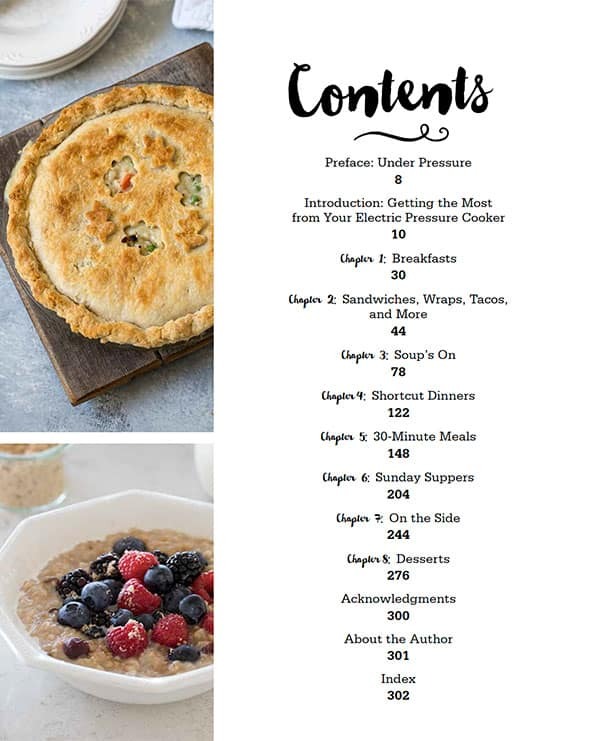 If you love the recipes and pressure cooking advice I share on Pressure Cooking Today, you’re going to love the cookbook. Join my new Facebook group, The Electric Pressure Cooker Facebook Group where you can share pictures of what you’re making from the cookbook, ask pressure cooker questions and help others on their pressure cooker journey. 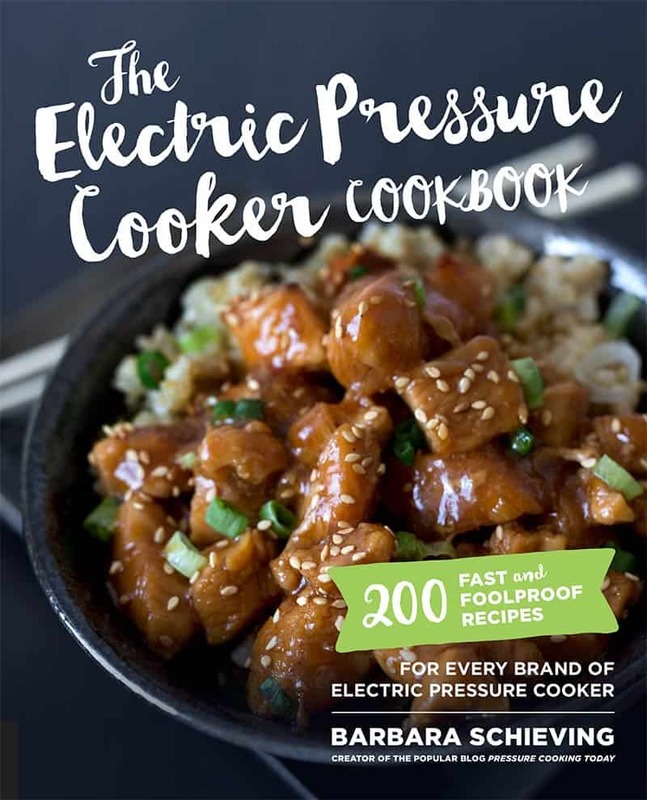 THE ELECTRIC PRESSURE COOKER COOKBOOK is available at your favorite local bookstore, and at Amazon, Barnes & Noble, Books-a-Million, Indiebound, Powells, QuartoKnows, and in Canada at Indigo-Chapters. A Kindle version is also available! This cookbook was a labor of love, but I had lots of help along the way. I can’t thank my family enough, as well as my agent, editor and publisher. Thank you to my recipe testers, Jennifer McDaniel, Genene Abraham, Carol Gage, Sigrid Trombley, Robin Turilli, Karen Agustin, Randi Brown, Chris Simmons, Jill Niemann, Janet Niemann, Amanda Sorensen, Karen Tramel, Kathy Hales, Sarah Franz, Brandie Gonzalez, Annette Franz, Helen Dalby, Stephani Dalby, Amy Maw, and Linda McKinney. 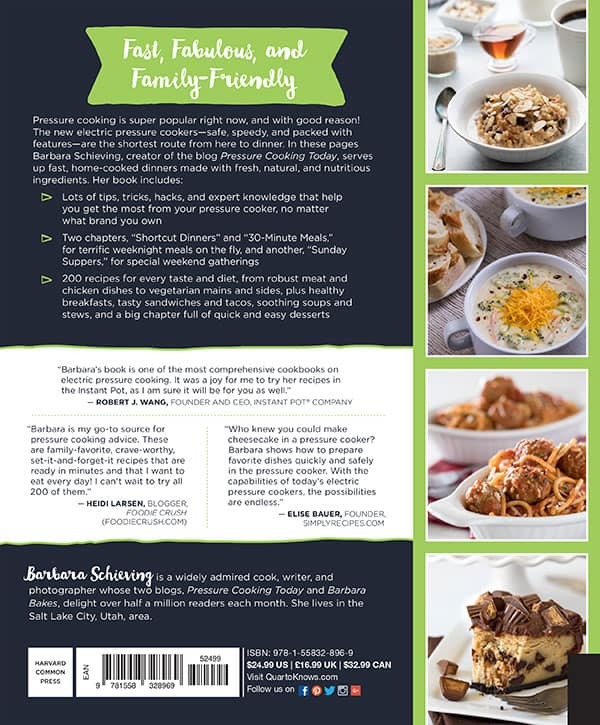 The cookbook is better because of you! 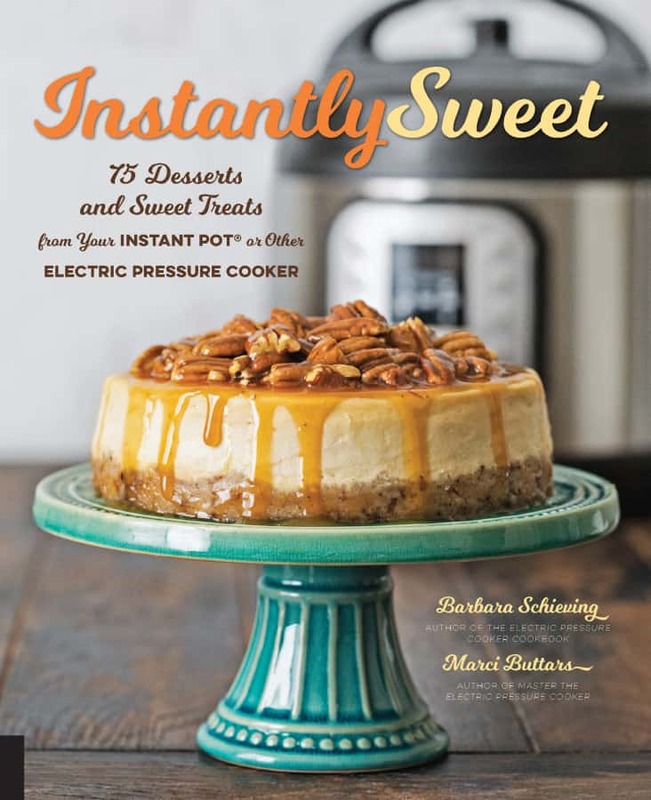 Thank you as well to all my readers for your support of Pressure Cooking Today! Beef Stroganoff recipe page 206 – The second to the last sentence of the directions should read: Add the sour cream mixture and the mushrooms to the cooking pot and stir until well blended. Page 22 should list the Cheesy Potatoes au Gratin on page 246. Grown-Up Mac and Cheese page 268 – stir in the bacon at the end after adding additional salt and pepper to taste, or garnish individual servings with bacon. The peanut butter cheesecake page 284 is pictured with chocolate chips in the batter but they’re not in the ingredient list. Stir in 3/4 cup semisweet chocolate chips after mixing in eggs, if desired. The Chapter 5 Index, 30-Minute Meals, has two recipe page numbers incorrect. Chicken Tetrazzini is on page 164, Creamy Chicken Pesto Pasta is on page 163. Page 81 in Tip, add (page 254) for the Dirty Rice recipe.